Two pulp giants get together to create a pulp monster. Veracel is a joint venture between the Swedish-Finnish giant Stora Enso and Brazilian-Norwegian Aracruz. Aracruz is the world’s largest producer of bleached eucalyptus pulp and controls 170,000 hectares of eucalyptus plantations in Bahia and Espirito Santo. To make way for the vast Aracruz plantations, Tupinikim and Guarani indigenous peoples, afro-brazilian ‘quilombolas’ communities and other local communities have lost their forests and their lands. Jukka Harmala, Stora Enso’s CEO says that his vision for the company is “to be the leading forest products company in the world”. Harmala told Pulp and Paper International in June 2001 “Our priority in Latin America is to find good fiber sources.” In 1999, Bjorn Hagglund, deputy CEO of Stora Enso, explained to the Financial Times that the company’s strategy was to increase its pulp operations in Brazil to secure raw material for its paper mills in China and Thailand. A decision on whether to proceed with the pulp mill was to have been made at the end of 2002. “This project has been so complicated, and it’s a big one. It’s been postponed until March or April, mainly because of the economics and so forth,” explained Timo Heikka of Strategy and Investments at Stora Enso. 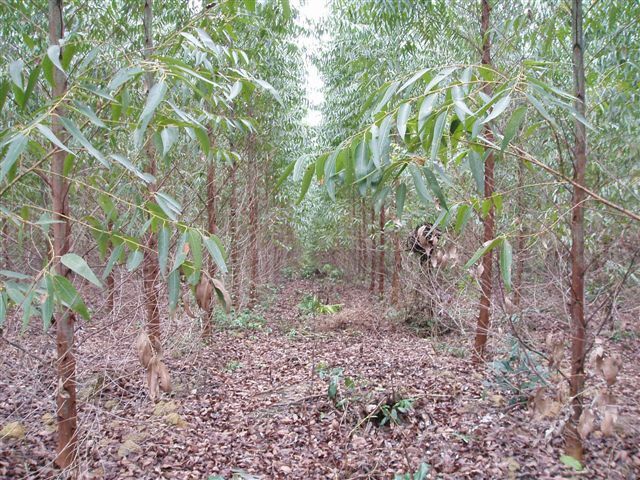 Veracel has already planted 63,000 hectares of eucalyptus plantations on the 147,000 hectares of land that the company owns in Bahia. Another 6,000 hectares is to be planted. Regardless of whether the proposed pulp mill goes ahead, Aracruz will buy 3.5 million cubic metres of timber from Veracel’s plantations between 2002 and 2004. Stora Enso’s Timo Heikka visited the project area in September last year. He said, “When it comes to the biodiversity and social issues it seems to be one of the best alternatives all in all in the Southern hemisphere.” Veracel’s Sanchez claims that 78,000 hectares will be set aside for “preservation and recuperation” of the mata atlantica forest. He also mentioned that Veracel owns the Veracruz Station, a 6,000 hectare forest reserve which is recognised by UNESCO as a world heritage site. Sanchez did not mention that when Veracel arrived in Bahia in 1991, the company planned to convert 80 per cent of its land into eucalyptus plantations. It was only through the intervention of Brazilian NGOs and the union of forestry workers, that the Brazilian environment agency insisted that 6,000 hectares of forest be set aside as a protected area. Neither did Sanchez mention that Veracel has cleared forest to set up its plantations only a few kilometres from the Veracruz Station (see WRM Bulletin 39). Almost nothing grows (except, of course, eucalyptus trees) in Aracruz’s plantations. José Augusto Tosato from CEPEDES, a local NGO, challenges the company’s argument that the land was degraded. Tosato points out that Veracel established its plantations on previously productive grassland and smallholders’ properties. Stora Enso’s Environment and Social Responsibility Policy states, “Stora Enso considers an open discussion and interaction with all stakeholders, both governmental and non-governmental, as fundamental.” In the case of Veracel, an open discussion is not possible, as environmental impact assessments for the plantations and the pulp mill are not available for general public scrutiny. If Veracel’s project documents are not freely available, an open discussion is not possible. Any shareholder decision must be postponed to allow civil society in Brazil, Norway, Sweden and Finland the chance to contribute to an open discussion on Veracel.